We will be welcoming the new year in about a month’s time! All the brands are slashing prices in celebration of this festive season, and you will probably find it hard to resist doing some retail therapy. To look your best in that outfit you picked out for Christmas or New year, it’s high time for some exercising before it’s too late! One month is more than enough time for you to get in shape and fit into the dresses of your dreams. Read on to find out the 4 exercises that can help you lose weight in time for the new year! While jogging or running at a steady pace helps to burn calories, a more effective method is to increase your pace for a short period of time. By sprinting for two minutes after every one minute jog, you can achieve better weight loss results. If running outdoors is not your cup of tea (or if the weather does not permit), you can sprint on the treadmill too! According to Nate Green, treadmill sprints are extremely effective at losing weight (and making you hate your life). Begin with 2 minutes of slow walk on the side of a treadmill. Thereafter, up the treadmill speed to 8.5 mph with 12% incline and sprint on the treadmill for 20 seconds. Resume your slow walk on the side of the treadmill for 10 seconds. Repeat this cycle for at least 10 times, before you wrap things up with 2 minutes of slow walk. If you prefer to workout in the water, the most effective swimming stroke for weight loss is the Butterfly stroke. While this may be one of the toughest strokes to learn, the results are amazing. 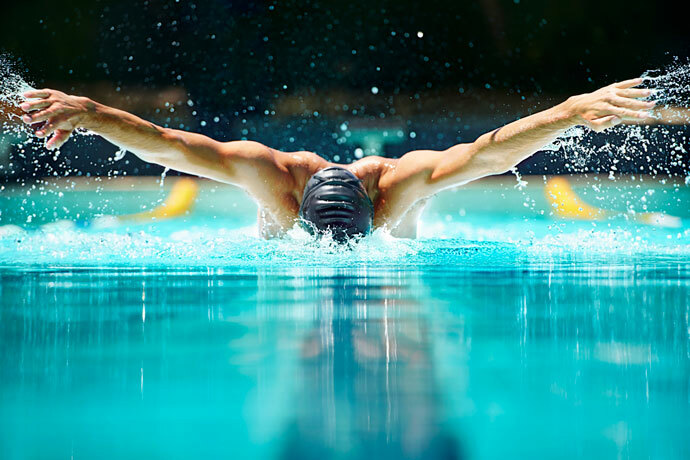 According to Swimming.org, 30 minutes of butterfly strokes will burn about 450 calories on average. Aside from that, it tones the chest, stomach, and arms! Time to flaunt your slender arms in those sleeveless tops! Begin with a two feet basic jumps for 1 minute, followed by 10 lunges on each side. Continue with another minute of switch foot jumps, before doing 10 pushups. Get back on your feet and proceed to do another minute of two feet basic jumps before going into a 30 seconds plank. Finish the whole routine off with 1 minute switch foot jumps. Repeat the whole routine twice, allowing yourself to rest for about 2 minutes in between. Keep this up and you’ll be slipping into that dress in no time! If you stay in a high rise apartment, this method is perfect for you. You can burn up to 191 calories by running up and down the stairs for 10 minutes (for a person who weighs about 70kg). Running the stairs help to tone the muscles in your lower body, especially your legs and hips. However, if you experience discomfort in your knees, it is advisable that you avoid stairs as it can worsen your condition. Go ahead, work those muscles now! After a month’s worth of hard work, you’ll be strutting down the streets looking fabulous! HealthLoco Tips: Besides exercising, it is important to watch your calories intake. In order to lose weight effectively, the calories you burn have to exceed the calories you consume.